If you have difficulty listening this podcast you can also find it here, or via iTunes. L. Timmel Duchamp is the author of the five-novel Marq’ssan Cycle, which was awarded a Special Honor by the 2009 James Tiptree Award jury; two collections of short fiction, Love’s Body, Dancing in Time and Never At Home; the short novel The Red Rose Rages (Bleeding); and numerous uncollected stories, for which she has been a Nebula and Sturgeon Award finalist and short-listed numerous times for the Tiptree Award. She is also the founder of Aqueduct Press; Features editor for The Cascadia Subduction Zone; and the editor of Narrative Power: Encounters, Celebrations, Struggles, Talking Back: Epistolary Fantasies and The WisCon Chronicles, Vol.1, and co-editor, with Eileen Gunn, of The WisCon Chronicles, Vol.2. She lives in Seattle. 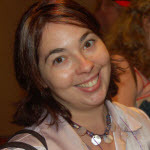 Alisa Krasnostein is editor and publisher for Twelfth Planet Press. As an avid reader of speculative fiction, she is Executive Editor for the review website ASif! and a member of the ‘Not if You Were the Last Story on Earth’ project, which attempts to read the majority of specfic shorts published in the calendar year. In her role as editor and publisher, she has produced six issues of the YA ezine Shiny, two issues of the webzine New Ceres, the anthologies 2012, New Ceres Nights and Sprawl (2010), as well as the collections A Book of Endings by Deborah Biancotti and Glitter Rose by Marianne de Pierres (2010). She is also the editor of Twelfth Planet Press’s ongoing novella series including Horn, Roadkill/Siren Beat, The Company Articles of Edward Teach/The Angaelien Apocalypse and Above/Below. In 2011/2012 she will edit The Twelve Planets series featuring twelve boutique collections by some of Australia’s leading short story writers. Sean Wallace is the founder and editor for Prime Books, which won a World Fantasy Award in 2006. 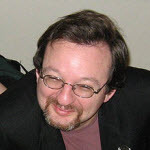 In the past he has also co-edited Fantasy Magazine, and Hugo Award winning and two-time World Fantasy nominee Clarkesworld Magazine; the editor of the following anthologies: Best New Fantasy; Fantasy; Horror: The Best of the Year; Jabberwocky; Japanese Dreams, and The Mammoth Book of Steampunk; and co-editor of Bandersnatch; Fantasy Annual; Phantom; and Weird Tales: The 21st Century. He currently resides in Rockville, MD, with his wife, Jennifer, and their twin daughters, Cordelia and Natalie.